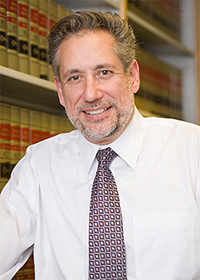 Born in Brooklyn, New York, Mr. Seth Bader graduated from the Benjamin N. Cardozo School of Law in 1983, and is admitted to the New York and New Jersey State Bars. He is also admitted to practice in the United States Court of Appeals, United States Court of Federal Claims for Vaccine Injuries and the United States District Courts for the Southern, Northern and Eastern Districts of New York and New Jersey. He is a member of many legal associations, including the American Association for Justice, New York State Trial Lawyers Association and the New Jersey Association for Justice where is a Member of the Board of Directors. Mr. Bader is the firm’s senior trial attorney, and specializes in the litigation of complex civil cases involving personal injuries and deaths caused by motor vehicle accidents, defective products, construction accidents, dangerous prescription drugs, medical malpractice, excessively hot water, lead paint exposure and other negligent conduct. He has devoted his career to representing the rights of those injured and killed as a result of the negligence of third parties. His years spent at a prominent defense firm gives him the unique perspective of being able to understand how his adversaries go about litigating their cases and preparing for trial. Leading a team of legal associates, expert witnesses and medical professionals, Mr. Bader has tried many cases to verdict in state and federal courts in both New York and New Jersey. Over the past 20 years he has recovered millions of dollars for our clients in verdicts and settlements, and in recognition of this success, has been granted membership in the prestigious Million Dollar Advocates Forum.